We designed our spaces specifically for those who crave for innovation and collaboration. We've built a variety of workspaces that will surely meet your business needs. Bring your laptop, get your work done, and we'll provide the rest. 4,450 PHP / 3 mos. A personal nook which includes an executive desk, chair, and your own storage. High Speed Internet, Complimentary Refreshments, Printing, Scanning and Photocopy. A fully equipped, private office designed to suit your preferred work atmosphere. A prestigious business address with mail handling, meeting room access, and dedicated phone number. Engage with your clients in our sophisticated conference rooms; complete with smart TV and free flowing refreshments. A 700sqm workspace equipped with its own dedicated events space. 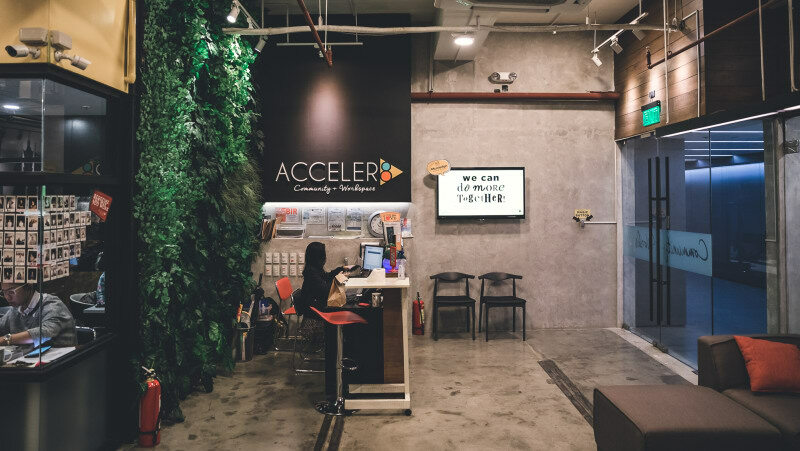 Acceler8 111 Paseo features a dynamic and vibrant community that consists of a new wave of startups, entrepreneurs, and freelancers that is sure to give you the best connections your business needs. 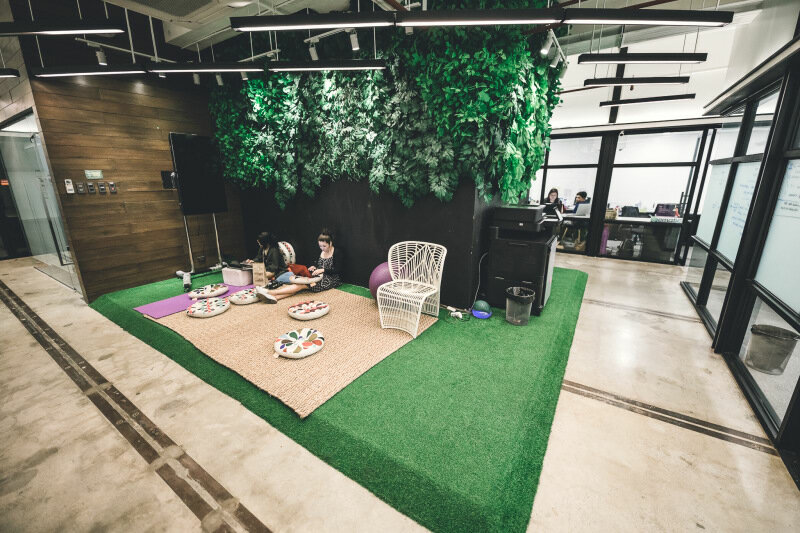 This coworking space is perfect for anyone looking for a space near Greenbelt or EDSA. Sitting in the middle of the quiet streets of Salcedo Village is Acceler8 Finman, a cozy place fit for anyone looking for a laid-back ambience. This 250sqm workspace can turn into an events venue at night, and can be mistaken for a café in the morning. 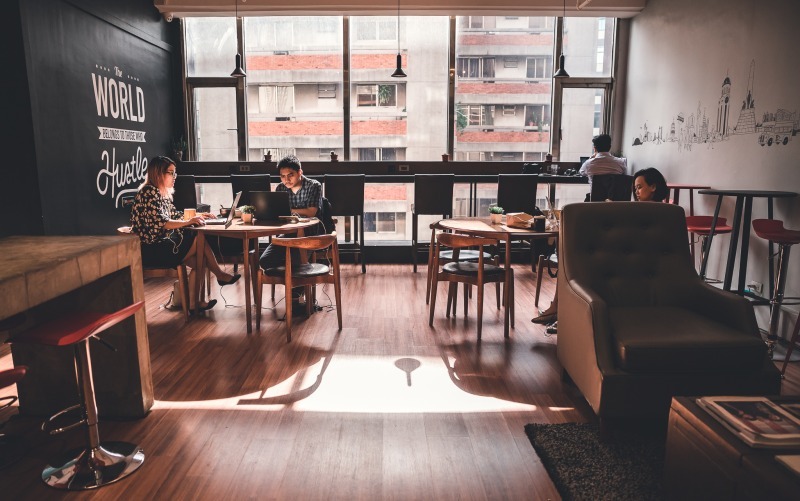 This coworking space is perfect for anyone looking for a more relaxed atmosphere and just wants to focus on getting things done. This may be a small space, but Acceler8 Finman members can be as warm and welcoming as your morning coffee. Can't wait for you to be part of our community! It's comforting to meet other people who've made the same decision to start a different career path. After just four months since setting up shop in the Philippines, eatigo finally launched their app last July 5, 2017. Founded in 2013, eatigo's mission is to connect empty tables with empty stomachs by offering time- based discounts of up to 50% every day at all of its participating restaurants through its online website and mobile applications. Having seated over 5 million diners at more than 1,000 venues across the region, eatigo is the leading online reservations platform for restaurants in Southeast Asia, downloaded by more than 1 million users. Backed by Tripadvisor, eatigo is available in Thailand, Singapore, Malaysia, Hong Kong, India and recently the Philippines - with Daniel Torres as the Country Lead. We had the pleasure of stealing more than half an hour from Daniel's work day to know more about him, their newly launched app and what he can say about his workspace, Acceler8. Daniel Torres was born in Colombia but moved to Silicon Valley in San Francisco where he studied Marketing. During his time in the USA, he worked with numerous startups including imeem, Nimbuzz, among others mostly around communication services. After 6 years in the promise land of startups, he decided to explore emerging markets and ended up in Argentina and then the Philippines where he helped launching Easy Taxi, a Rocket Internet company. He then worked in Singapore for about a year and ended in Bangkok where he met the people behind eatigo. Given his knowledge and previous experience with the Philippine market, he was sent to the country he considers his home in Asia to lead operations. 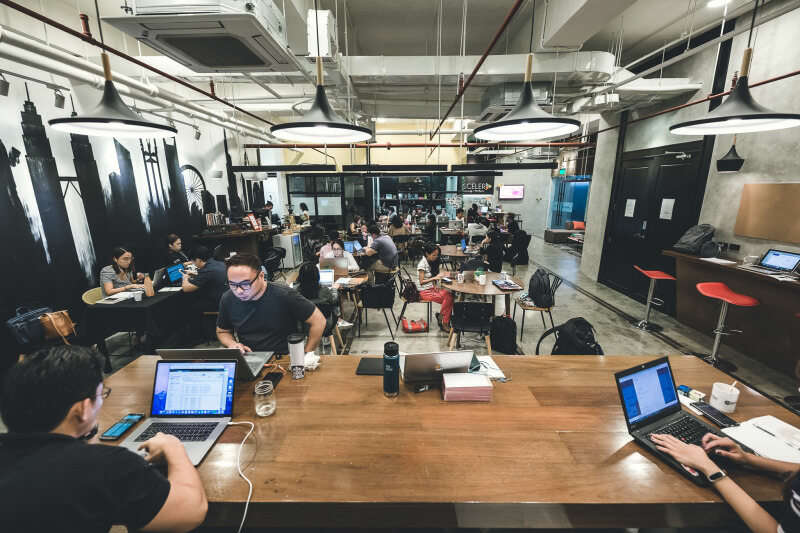 Read on as he shares his thoughts on entrepreneurship, success and how coworking spaces bridge the gap. 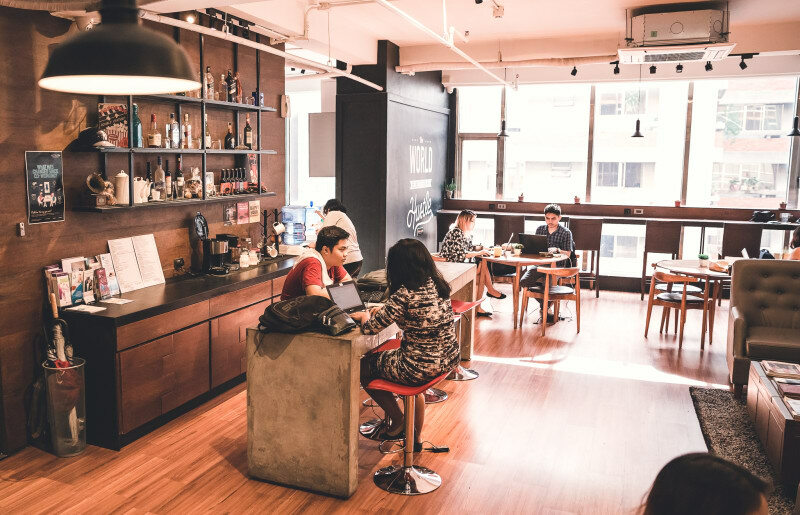 A8: How would you describe the influence of coworking spaces on traditional business culture? DT: "Coworking places in places like the US are more of a normality, than in emerging countries. I think it's still a new concept in the Philippines, but it will definitely spur the entrepreneurial spirit [in the country]. Places like Acceler8 do show another side of business without barriers which will definitely influence the younger generation. Young people will get a confidence boost. 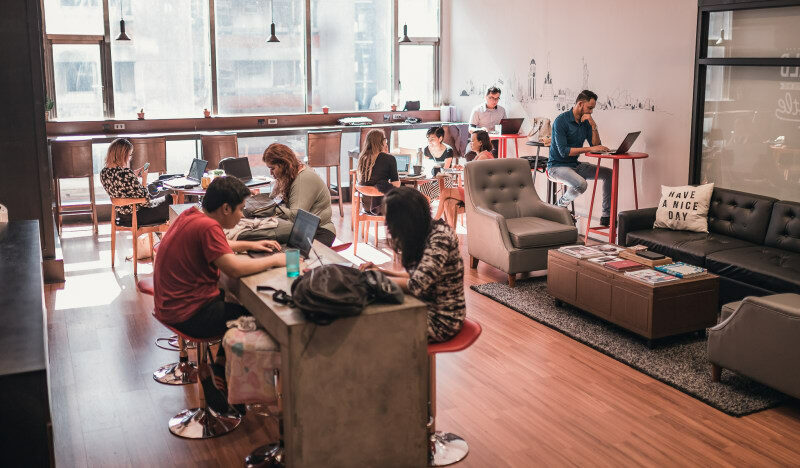 Seeing other young people in coworking spaces will motivate them to make or start their own things and it will remove the whole career ladder concept." 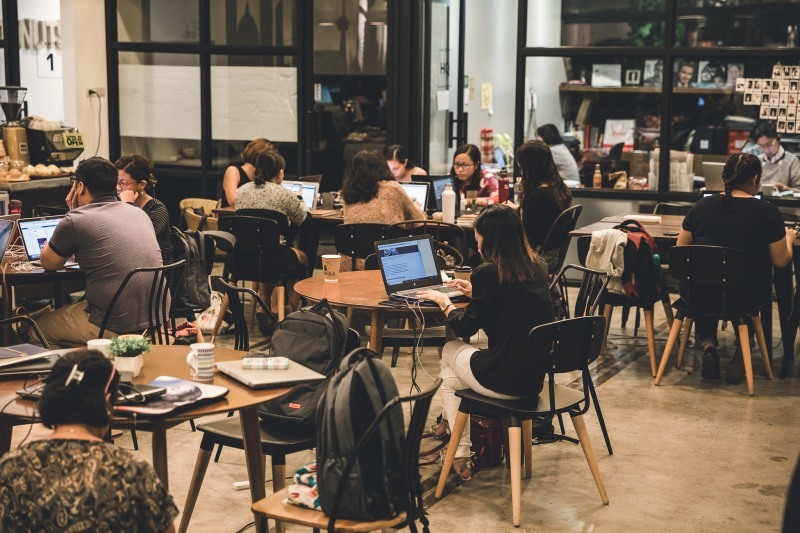 A8: How important do you think are coworking spaces for entrepreneurs? DT: "Every person at Acceler8 has a lot to share, good and bad. And that's what you need, I mean everyone thinks of Steve Jobs when you say entrepreneur, but there's also a lot of failed ideas out there and bad experiences. But that's where you learn, and coworking spaces will open that up. 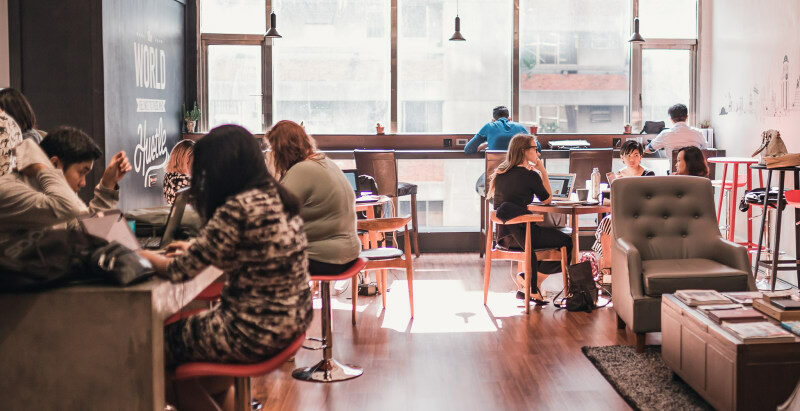 Coworking spaces also build your confidence, everyone has bad days and knowing that you're not alone can really help your day. Seeing other people every day that have encountered the same problems or even worse problems than you, has a sort of reassurance in what can sometimes seem like a lonely journey." A8: When you mention the community, is that more of a bonus than a priority? DT: "When I chose Acceler8, of course the plug and play element was a priority. Any immediate priority for a business or startup is the ability to instantly start working. But any place can do that as long as you own a laptop, so plug and play is the absolute minimum you need. When you arrive at Acceler8, the place is alive. People are talking, gathered around the coffee machine, there's activity that you don't find in other places. When I was building my team, the whole interview and hiring process was very smooth, as the buzz and activity has a welcoming feel that you don't have in a regular office. When I hired new people Acceler8 did help them settle in." A8: So would you say that "community" and relations with other people have an important role in the workplace? DT: "Yes, you have to have fun at the same time and connecting with other people, having some drinks or even quick conversations does add another level enjoyment. Even if you're busy, even a little "hello" and interaction with the Acceler8 staff does benefit you. When you're leaving a job at an established company to join a startup, there's an element of risk and a place like Acceler8 really helps to welcome into what can be at first a scary experience - it's comforting to meet other people at who've made the same decision to start a different career path. The community element does help to normalize the experience. This is why I chose Acceler8." Daniel went inside our admin office the morning of the launch to announce that their app is up. The people working in Acceler8 that morning were the first to find out about it via one of the community managers roaming around announcing in excitement to "download the app now!" Users can choose to dine anywhere, from upscale hotels to popular food chains, and enjoy the same discounts with no strings attached. Download the eatigo app on Google Play and App Store to enjoy great discounts from all over the metro. Envision a lifestyle you want every Filipino to have in the future. It has to be different, it has to be great for all. Joseph Rastrullo believes we all have a purpose to aim for and that our success derives from fulfilling such a purpose. Joseph, more often called Joe, discovered his purpose during high school where he became fascinated in designing furniture. He pursued a Bachelor's Degree in Industrial Design at the De La Salle - College of Saint Benilde. During his time in CSB, he approached renowned designer Antonio "Budji" Layug in church to ask if he could work for him. This was purely an opportunity that Joe sought out, not one required to be taken by his course. His apprenticeship, directly under Budji himself, happened 3 to 4 times a week and lasted for 2 years. Under Layug he was able to put to heart the importance of refining designs and pushed himself to mature and develop his designs beyond conventional boundaries. Above all, he gained strength in character, which he greatly attributes to his success. Budji Layug advised Joseph to live abroad: "If you want to improve your designs you have to live differently," and so he did. The young Rastrullo studied at the Domus Academy in Milan and the University of Wales in UK for over a year. Upon returning to the Philippines, Joseph used his experience and the network he gained from his apprenticeship to establish his design studio - Rastrullo Design - right away. Joseph Rastrullo has now come full circle as a lecturer at his alma mater DLS-CSB whilst managing being hands-on with Rastrullo Design. He wants to pay forward the same support that was provided to him through teaching and mentorship; he greatly encourages and empowers his students to break usual mindsets. "Designs should provoke and challenge the confines of mainstream trends." There is a symbiotic relation between Joseph's designs and his character that he tries to instill in his students. His latest furniture line Manolo Living pays homage to his grandparents and Filipino culture. Considering today's rapidly changing design trends, Manolo Living intends to make time stand still. Joe urges everyone to "envision a lifestyle you want every Filipino to have in the future. It has to be different, it has to be great for all. And then think of ways on how you can achieve that." Joseph Rastrullo has taken his designs across Asia and Europe and is working his way to becoming a hallmark name in Interior Design, not only in the Philippines but worldwide. Drop by Acceler8 to see pieces from their newest furniture line, Manolo Living. Be in constant search for your dream, and when the timing is right, don't hesitate to jump. When I met Kristina Sy for a photo-shoot, she was initially very calm and composed. Her poised composure emits a natural self-assuredness that, despite her casual workout clothes, conceals a committed entrepreneur realizing her dream. Kristina grew up in Manila and later moved to the US. After graduating from college in Boston, Kristina moved to New York City where she became gripped on working with start-ups. "I loved moving from project to project, getting my hands dirty and working with a team around the clock to build and launch a product as a rapidly as possible." The hands on approach to business and creating a product from the ground up indicated to Kristina she wanted to create a something of her own. Whilst in NYC, Kristina became hooked on indoor cycling "after chancing upon my first indoor cycling class, it was love at first ride. I finally found a workout that fit my lifestyle." Indoor cycling allowed Kristina to maintain an active lifestyle that was both fun and required some level of personal commitment that she could easily fit into her daily routine. "Time flew by after each ride and working out didn't feel like work." Before returning to the Philippines Kristina explored potential business ideas she could pursue. After much thought, Kristina could not confirm any idea was without uncertainties, what was certain however was her passion for indoor cycling. The sport embodies her active lifestyle, hard work, and its general appeal to anyone looking for an active outlet that was fun and could easily fit into busy schedules. Kristina built the Electric Studio based on her credo of personal drive and commitment. Electric Studio creates an experience where customers can leave their day routines behind them. The fusion of music, choreography and peer-to-peer motivation provides a 45-minute sweat inducing and mind and body cleanse where individuals offload their day-to-day tensions. "We've been told by our riders that the 45 minutes they have at Electric is their mental escape; one that leaves them stronger not just physically but mentally and emotionally as well." The creation of Electric Studio is the product of Kristina's relentless graft and full personal investment in whatever she puts her mind to. "In any meeting or opportunity I am involved in, I always remind myself that if I have a seat at the table, I need to be 100% there, otherwise, why show up at all?" This belief of 100% commitment is entrenched in the Electric Studio brand; Kristina has built a business that injects personal drive into its employees and customers. Take risks and be brave. Sometimes there are things about yourself you might not have discovered yet if you shun experiences that seem to wild or crazy for you. "Everything about Japan makes me happy" Nikki expresses her enthusiasm for the Japanese culture. Clad in her Japanese street style inspired outfits and sunny disposition, there's no arguing that Nikki's trip to the land of the rising sun changed her perspective for life in various degrees. Nikki is the sweetest girl you'll ever meet, and definitely a friend you can lean on. Despite being occupied, she often makes time to listen to her friends and strike up meaningful conversations in between spreadsheets. Though sunny and bubbly, Nikki definitely knows how to deal with negativity. Case in point was when she was faced with the loss of a close relative. Coping with grief is difficult, however, she slowly recovered by cherishing memories and remembering "...that emotions don't always last. Try to search for the meaning of your life and establish relationships that will fulfill yourself as a human being more than having random bouts of happiness." Today, she enjoys her job as a Community Officer at Acceler8 and often eats a lot of chicken nuggets for lunch. Master yourself before mastering your business. "Master yourself before mastering your business," says Bryant Cuison Co-founder of Acceler8 Philippines and President of William Brothers Manila. As an entrepreneur, Bryant keeps a balance spearheading his company and daily challenges—that is to constantly make his vision resonate across his team. "The challenge is to keep your eyes on the prize while dealing with day to day business concerns." He's not all that of a businessman during his leisure time. Amongst the bosses, Bryant is the youngest at heart getting along with his team like his own best pals, but also makes sure that their tasks are properly done. "You'll feel exhausted and uninspired at times," he says. What keeps him sane despite all his business engagements? "I enjoy photography, architecture, travelling and fitness." Invest time in people and building relationships. You'll find that every great thing you do has those two things as a common denominator. "I've had a history of chasing the hard route," Terence Woo quipped. He's faced a number of challenges that contributed in his career and his life. "The ‘high-stress' roles that I've done is the reason that led me to the path where I learned how to face challenges head on," referring to his previous role as an Emergency Medical Technician, a banker, and an entrepreneur. At the age of 30 Terrence quit his job, and alongside his wife they decided to pack their bags, leave their apartment in Australia, and explored the world for a year. "Through these travels, we've met so many different people, all of them adding value to our lives in their own way." Like gems, he kept his network close and built relationships that introduced them to the tech start-up industry, and ultimately led them to where they are now. Terrence is the Co-Founder and Chief Marketing Officer of Vende, a Social Commerce Tech Startup developed in Singapore and Launched in The Philippines. Earn commissions via your social networks – join the social commerce revolution. Visit www.vende.global for more information. Just smile, thank the world and make no room for resentments. Being observant of my surroundings is one of my many ways of saying ‘thanks' to the world," Ludwig Alejandro said, Marketing Officer in Acceler8. Every so often, his awkward demeanour could be mistaken as uncanny, yet Ludo often keeps an upbeat mood whenever necessary. On an ordinary day, he skims through the pages of his favourite travel and architecture books whilst playing an album of World music (mostly African). Otherwise, you'll find him in a library studying French. "Languages are like music to my ears and a maze that I have to unravel to learn." The essence of adventure became clearer when he stumbled upon a Mexican tourist asking for directions. "I had to help the poor guy then eventually found ourselves in a cafe just talking about life experiences," An encounter with a complete stranger that's rather fascinating than odd. "Just listening to his stories felt like I was eating street tacos in Mexico." From then on, he realized that diversity is everywhere searching for subcultures within the city and listening to various life journeys—has been his way of travelling the world "And that's always been gratifying," he added. Putting enough trust and being extra committed to your team makes all the work efficient. Acceler8 Co-founder Carlo Coronel is best known for his directness and prowess as an entrepreneur. Apart from Acceler8, he is also overseeing SafeHouse Storage, a comprehensive self-storage solutions company in the Philippines which he founded in 2010. Incredibly, despite managing a couple of businesses, for Carlo, time management can be critical yet also one of the biggest factors in determining success. "Putting enough trust and being extra committed to your team makes all the work efficient." As a start-up founder, he assures that all the components of Startup Company must be applied at full length. "Laying down the vision, culture, and structure is critical to accomplishing your goals," he added. His hobbies include running and reading inspirational books "It allows me to clear my mind and release stress." And when asked about his business principles "Passion, hard work and faith is always the best formula for success," He quipped. It's always good to meet your financial goals while living a life full of adventures. "It's always good to meet your financial goals while living a life full of adventures," Terry Chen, Operations Manager of Flash Philippines said. He's been exploring the Philippines ever since he arrived. When in town, you'll frequently find him hanging out with the Acceler8 community in well-known night spots in Manila. He made it clear that despite always having a lot on his plate, being physically active helps him keep a balanced lifestyle. "Exercise helps maintain a positive mindset throughout the day." Terry believes that everyone can achieve their dreams as long as there is dedication and will. "When it's time for you to shine, be the brightest!" I believe in the power of collaboration and the importance of a supportive community in any business endeavor. It's such a surprise when he walks through the door wearing a casual outfit, since he often wears an ironed polo shirt, an eye catching tie and pair of shiny oxfords. Mikko Barranda, co-founder of Acceler8 recognizes the value of growing your relationships and building your network. "I believe in the power of collaboration and the importance of a supportive community in any business endeavor," - one of the reasons they started Acceler8 and even have plans to continue expanding. Despite his hectic schedule, Mikko is able to balance his time between being a business owner, real estate broker, and part of another promising start-up that distributes and sells gift cards. "It boils down to discipline, focus and hustle" he said when asked about time management. A believer that learning doesn't stop from the business world, Mikko is a bookworm and recommends carving out 30 minutes to an hour every day to read. This will help you keep an open mind, expand your knowledge and stay relevant. Sticking to the same routine over and over again gets really boring which stops me from being myself. "New things keep me inspired." Cheska is not your usual General Manager. She enters the door like she's dancing in the streets and brightens up everyone's mood. Her high spirit never fails to lift people up, but still and all, Cheska is a genuine listener which often resolves the problems in the workplace. New discoveries keep her imaginative and adventurous. "Sticking to the same routine over and over again gets really boring which stops me from being myself." She's a foodie as well. People would seldom see her without a food by her side, "I love to try new restaurants because I just really love to eat and try new dishes." She said. Nevertheless, she maintains a normal physique since she plays badminton and would join international competitions from High School until College. No matter how stressful life can get, Cheska handles them effortlessly. Come by Acceler8, say "Hi" to her and for sure you will start your day with a smile. Keeping an open mind about your road map is the key as what you encounter will most likely be different to how you initially envisioned it. Before arriving in the Philippines, Peter Ing had thirteen years of international work experience cultivating his skills in synergism and operations management. His passion for business, sports and technology keeps him driven towards achieving his ultimate goal. "Doing business is what pushes me to new limits," For Peter, being able to determine your options is the key to find the right opportunities. "I've realized that the lessons you obtain from your life's journey is important. Set yourself mini targets and acknowledge accomplishments when you've done a good job." He explains "Keeping an open mind about your road map is the key as what you encounter will most likely be different to how you initially envisioned it." Working in a startup company can be grueling as it involves tasks that are not in your list of strengths. 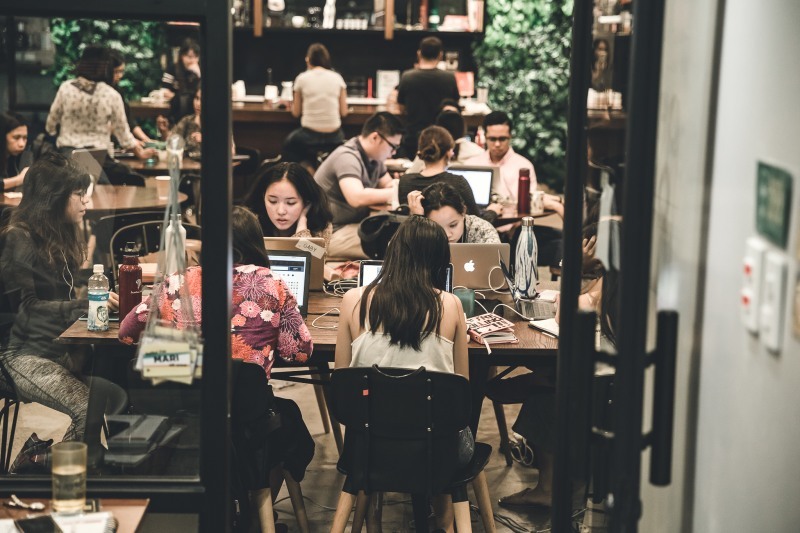 "If you work in a lean team it usually means covering a diverse set of roles and learning new tricks every day, most of which you don't know how they will pan out." Nevertheless, Peter ensures that everyone that he supervises are all hands on deck and driven. Ultimately, Peter is inclined to give back to society having worked with NGOs and in the field of sustainability in the past. His take on this: "Look at the people that make the most impact. I personally want to help on such a level too, but in order to get there you have to take care of yourself first." It's a balance between safeguarding your future and giving back that makes everything worthwhile. The trick is not to panic and to keep things positive no matter what. "Breathe, just breathe," says Mari, the Marketing Gal of Acceler8. The world was once a strange place for her. She didn't exactly know what path to take, and the overwhelming pressure of finishing school that came with it did not spare her from defining her goals. "I was lost for a while and I basically did not know what to do." Being an adult, she said is something that everyone has to prepare for and ponder on before getting out there. "The trick is not to panic and to keep things positive no matter what," Mari continued. Eventually, she graduated from her university and now enjoys a life with clear goals. Mari is known as a film enthusiast and the Acceler8 community knows who to ask when it comes to movie matters. "A brilliantly crafted film relieves my stress; it takes me away from reality." Other than films, Mari likes to travel and explore new places. The difficulties you encounter are always temporary and they won't amount to the success and accomplishment you will be rewarded with in the end. Opportunities don't always come easy. Bianca Cruz, an athlete, a licensed real estate broker and a community manager of Acceler8 had her fair share of life's challenges. The goals that she had set for herself came relatively defiant. Back in college, her dream of representing her university in the UAAP (University Athletic Association of the Philippines) didn't push through. Apart from that, she studied to prepare for the Real Estate Broker Licensure examination. "It was tough, I wasn't granted to take the exam even though I was practically done with college prior to the exam date," Bianca said, explaining why she wasn't shortlisted. Despite the difficulties, she picked herself up every stumbling moment until an interesting turn of fate brought her to become a part of her university's beach volleyball team. Her team won gold during her senior year! Then after almost a year-long of letting go of the opportunity to be a licensed real estate broker, PRC gave out the news to open the exam again to any 4-year course graduate and she decided to give it another shot. "Thank goodness I passed. In life, the greatest teacher is experience. The difficulties you encounter are always temporary and they won't amount to the success and accomplishment you will be rewarded with in the end." Bianca is now managing the Acceler8 Community. She makes sure that everyone is having a healthy and fun time within the workspace. "I make sure that our clients do not stay as just clients but also a part of our Acceler8 Communiteam who sit next to each other at work, chat in between breaks, have lunch together and have nights out." Everyday could be an opportunity for something new! Miel started working in Acceler8 since it opened in September 2015. When asked about what she values most about Acceler8, Miel says, "I value the people I meet from all types of industries. 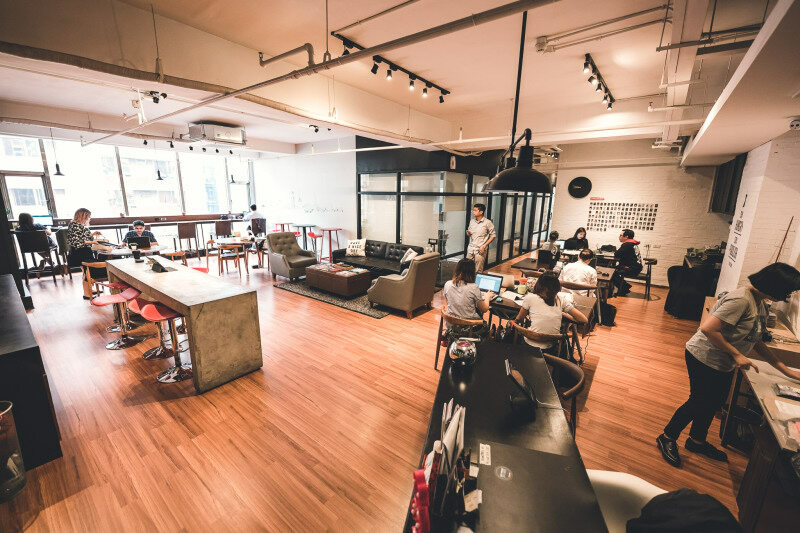 Meeting and networking with people from the coworking space can truly propel and help ones business". Through Acceler8, she was able to collaborate with Megaworld- one of the biggest real-estate companies in the Philippines. The idea for Row 101 and Megaworld's collaboration happened when Miel sat beside one of her A8 co-workers who is part of Megaworld's marketing team. "We met and started to talk about our work and what we do. Now, Row 101 Pop Up is having an event in Paseo Center, Makati. We partnered so Row 101 will have a venue to bring in a good amount to food traffic to the showroom of Megaworld." The Row 101 x Megaworld Pop Up entitled "Aloha: Summer In The City Luau Market" is happening on March 19-20, 2016 from 11am – 6pm at G/F Paseo Center, Salcedo Village, Makati City. Row 101 is an Events Management Company founded in June 2014 by Miel. It started as a small project for Miel. Back then, she only handled about 15 brands for her pop up. Row 101 gives brands a platform to sell their products straight to their customers. They try to make it an experience for both customer and concessionaire. Today, Row 101 partners with more than 100 brands and it continues to grow. The Philippines must've been a puzzle when Romain arrived two and a half months ago. Now, he is part of a community that helps him both grow his business and see the Philippines with fresh new eyes. Romain says that he values the community, and the people he meets at Acceler8 the most. "My stay in Acceler8 allowed me to meet a lot of people, coming from different areas and industries. As a foreigner, being inside a community where most of the co-members are locals helped me to understand the Philippine market and get some useful tips. The working atmosphere and environment at Acceler8 is very dynamic and creative." In this energetic and inspired community was Romain able to work alongside one of his co-members, Flash (Excellent Success Mobile), in a community event called unWINEd. "It was very nice to work with Flash team. After sharing our different business activities and ideas, we understood that working together could be valuable for both our companies." Coincidentally, the pair also met in one of Acceler8's unWINEd events, now Instaroid and Flash are looking forward to working together again in the coming months. Romain hopes to meet more people- event organizers, wedding planners, and more "funky individuals" with whom he can collaborate with. Instaroid brings a strong emotional and tangible component to events by allowing guests to keep a Polaroid memory of the moments they enjoyed. Developed by a team of experts in events, technology and marketing, Instaroid offers an engaging experience for people while providing a powerful communication channel to brands, venues and advertisers. The growing number of digital platforms, media and networks demands more and more innovative approaches to cut through the noise and stand out. Instaroid connects the online and onsite experiences. We support you in the design and execution of solid strategies by creating bridges between tangible service and digital impact. Get updates, promos, and freebies when you sign up!